This GDImage 5.01 project, shows you how to use the new anchor properties altogether with "widget sprite objects" to mimic the behavior of a standard Windows control. It works on the same concept that the one being used in the skin engine, and uses the same %ANCHOR constants. '// The static Arrow sprite. sUseFont = "ARIAL BLACK" ' "TREBUCHET MS"
The Custom project, shows you how to create a "hyper-realistic" GDImage widget compass control. It mixes 2D and 3D altogether, with the hability to change the lens layer on the fly. All the layers are linked together to work as a single entity, you can see it using the mouse to drag the compass and/or using the keyboard with the direction keys. 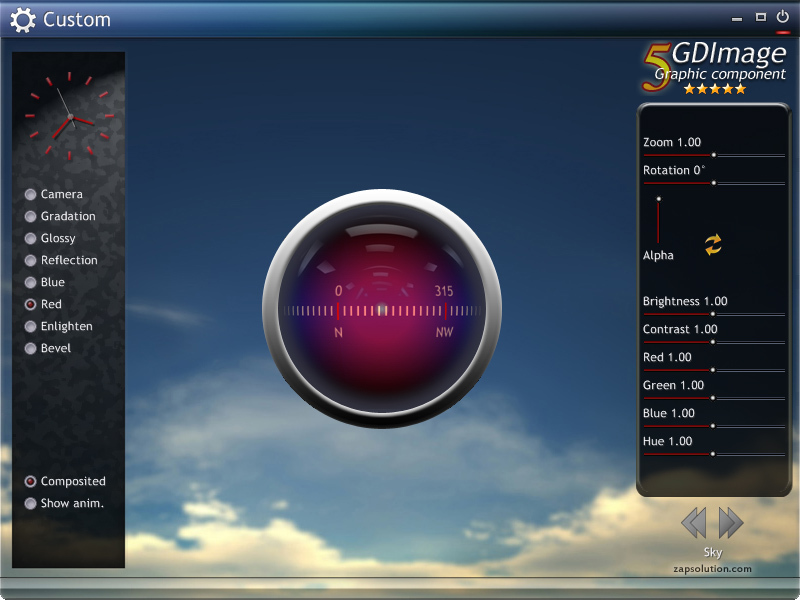 The widget itself is composed of 4 layers, including one OpenGL 3D sphere animation. 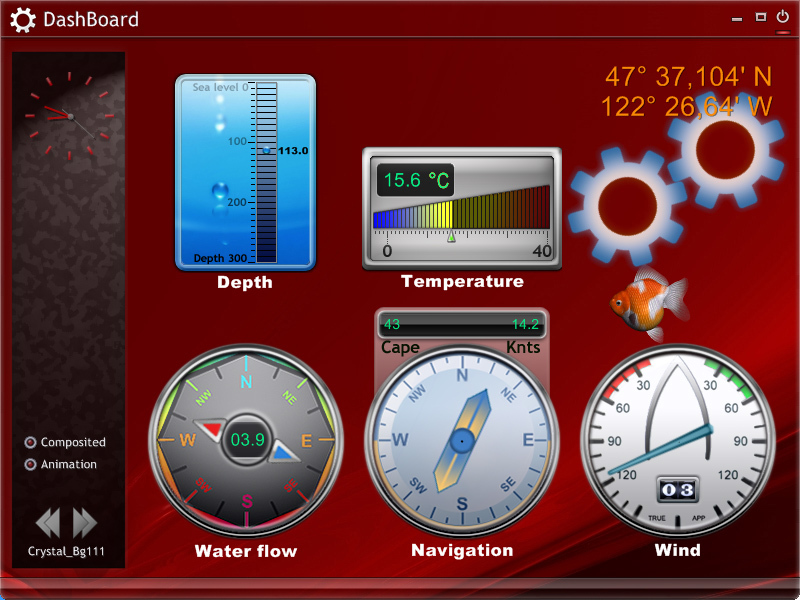 All the visual parameters can be adjusted using the sliders located on the right panel. Note: you must have a graphic card that is OpenGL 2.00+ compatible to run this project. The first two posts of this thread have been updated, to fix the ZIP file corruption caused by the "Server Collapse".